The spaces we create are simple yet distinctive – designed for modern living. We place a high value on design without sacrificing comfort and functionality to create spaces you'll truly love to live in. At JRD, we are passionate about all things "home," and creating spaces perfectly tailored to your personality and lifestyle is at the heart of what we do. With this in mind, we provide full-service design for residential spaces of all shapes and sizes, whether that's a kitchen remodel, your perfect forever home, or anything in between. Most projects will include 3D computer models and a complete set of architectural drawings. Knowing that a space is not complete after the physical space is designed, we're pleased to now offer interior design services to take your project to the next level. We select the perfect finishing touches so you can enjoy your new space to the fullest. This means finding the right furniture, wallpaper, rugs, window treatments, decorative lighting, and other décor to make your new space truly yours. We hand pick the perfect team of preferred general contractors, landscapers, interior designers, cabinet makers, metalsmiths, and other artisans to bring your project to life. Believing that we can achieve more together, we collaborate with the entire team to create a truly custom product. Plus, we remain involved throughout the entire design and construction process to ensure the final product is everything you envisioned. 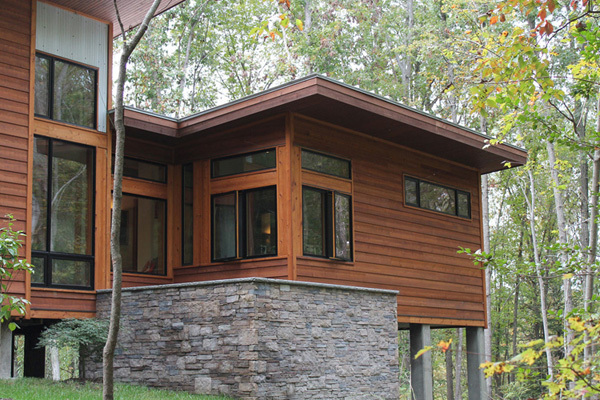 Equipped with LEED certification, we're proud to accommodate your individual goals for energy-efficient and healthy home design by sourcing responsible, sustainable materials and avoiding harmful materials. We are also experienced in creating homes that allow you to age in place with universal and handicapped-accessible designs.